Who are We, and What is Our Project? The Athena Co-Learning Collective is a group of graduate students and faculty at the University of Georgia who are committed to living and learning differently in the academy and our communities. We came together in the wake of the 2016 election with various needs for community, praxis, and feminist theory in our work and lives. Our purpose is to work together in active resistance to white supremacist heteropatriarchy and toxic masculinist practices that have underpinned knowledge production and instruction at our universities. We seek to engage, share, and learn from a diversity of knowledges, experiences, hopes, and fears as a means to rehumanize our relations and learning communities. We are inspired by the many feminist collectives who have formed inside and outside the academy before us. Recently, many decolonial, anti-racist, and feminist scholars have expanded radical geography and related fields to include a greater diversity of thinkers, writers, and activists. Yet, few of these interventions have materialized as changes to the practices of the academy, or even the discipline of geography (de Leeuw and Hunt 2018). In this, our own intervention, we describe the Athena Co-Learning Collective’s efforts to reject the traditional and enduring graduate seminar format and to structure a seminar based instead on intentionally feminist, anti-racist, and decolonial theory, pedagogy, and praxis. Our work begins in the classroom because it is a key location in the perpetuation of hegemonic ways of thinking and doing that have remained largely the same for centuries (Mohanty 2003). We collaboratively craft the content of our shared learning space, and focus on transforming the oppressive social relationships that were laid bare in new ways for many (but not all) the members of our collective in the wake of the Trump election. By centering the ideas of scholars who build theory for liberatory praxis, we can change how we know ourselves and each other, and how we act within these intimate and broader relations. Furthermore, we intentionally create a “collective” (as opposed to a classroom) as a way to name and define our project as something that is intended to be more than a learning experience, but responsive to emotional needs as individuals and in our community. As a means of undoing white supremacist heteropatriarchy, we began by undoing the toxic masculinist practices that materially and metaphorically make the traditional graduate seminar space possible. These masculinist performances typically involve one or more “expert” faculty determining the important scholars to read, then overseeing class “discussion” (often structured as debate) where students seek to prove they have learned something (ideally more than their peers). It includes, furthermore, the privileging of totalizing narratives frequently emanating from the work of Eurocentric male scholars (e.g. Marx, Heidegger, Althusser, Foucault); the performance of competitive behavior (i.e. individualized performances that prioritize speaking out loud, debating, correcting); the enactment of microaggressions (i.e. talking over, ignoring, minimizing the contributions of women, queers, and people of color); and the deployment of reductive logics (i.e. finding one thesis or explanation in a text). We believe that liberation from white supremacist heteropatriarchy requires that: 1) we conduct ourselves differently in the teaching and learning process with new feminist, anti-racist, and de-colonial practices and agreements; and 2) we give women, POC, queer people, Indigenous people, and other thinkers the same seriousness and focus we might afford the historical objects of our disciplinary canons. To put this into practice, we began our collective with several key principles and goals: to enact non-hierarchical power relations among all in the room (including faculty); to do away with hypercompetitive performativity; to keep realistic workloads and expectations through “slow” scholarship (Mountz et al. 2015), while also recognizing that faculty, across racial identifications, experience very different time and labour pressures that we must collectively be conscious of; to learn with one another to collectively understand the multiple meanings in the texts we read; to create a space to learn free of shaming; to imagine what radical potential can emerge through this work. This begins to constitute what we understand as the rehumanization of our collective efforts to teach and learn. 1) Generating Collective Solidarity: The first step is to relate to one another – and to support each other – as complex human beings embodying a number of subject positions. None of us enters the classroom as only student or only teacher. Rather, we are also parents, children, partners, laborers, survivors, and so on. Feminist, anti-racist, and queer theory is personal to us all. We cannot engage it in a disembodied or individualistic way. This means allowing time and space to discuss personal, emotional, and non-academic issues as part of the learning process. This also includes being honest about why we may not be fully present or prepared for class activities; getting to know one another outside of the classroom; acknowledging how our own experiences shape our understandings of texts and ideas; engaging in hard conversations about difference and disagreement; kindly confronting misogynistic, racist, or homophobic actions or words among one another; “staying with the trouble” (Haraway 2016) and working through the discomfort individually and collectively. 2) Engaging in Co-Learning Praxis: We make a commitment to learning with and from each other. We learn more when we cooperate, and we gain power through collectivizing the work of learning. Rather than keeping our knowledge and education to ourselves, we share – share accountability for each other’s learning and share our ideas and knowledge with each other. For example, in the context of the seminar, we collectively chose texts to read, generated shared class notes, collaboratively engaged with texts in large and small groups, and wrote final papers as a class based on our collective (not individualistic) engagement with the readings. We frequently revisited and adjusted course expectations, activities, and assignments to support these efforts. 3) Enacting Our Ideas through Real World Politics: We believe that it is essential to practice applying this knowledge within our real lives. We develop skills and personal practices for confronting sexism, racism, and unquestioned settler futurity in our workplace and in our communities. We advocate for “radical vulnerability” (Nagar 2014) in communication practice to help realize this aspirational goal. This means modeling intentional courage with each other to raise and navigate difficult topics in our shared workspace, establishing group agreements and conflict mediation norms, and accepting that conflict or difference do not render relationships disposable. While we were not always able to fully enact the principles of feminist collective praxis, we committed to the ongoing task of working through the messiness, especially during critical moments of feedback about the class process and politics. We defined success by our ability to create openings and to keep moving forward. Given these political commitments, we present the following principles that all scholars (teachers and students) can implement in their own classrooms and relationships to transform teaching and learning practices to rehumanize ourselves, the academy, and society. 1) Find Promise and Potential in Affirming Ambiguities: Refuse to submit to the myth of the totalizing rigidity of any one concept and the masculine construction of “realness” which attempts to “stabilize meaning” (Rose 1996: 68), and, thereby, to divide. Seek to explore those multiple narratives and spaces on the outskirts – those unruly contradictions and relentlessly rich complexities of socionatural life, of working-class life, of Black life, Mestiza life, Indigenous life, queer life, of lives in solidarity. Gloria Anzaldúa (1987) taught us that we must embrace internal contradictions, incommensurabilities, conflicting truths, and the uncomfortable subjects they might introduce as sites of radical possibility and struggle. Commit to the always ongoing work of fostering spaces where “hybrid” or “mestiza” ways of being in the world can flourish free from the fetters of categorization. 2) Embrace the Ethical Task of Uncovering “Absented Presences”: Model Katherine McKittrick’s (2006) unapologetic commitment to honoring the geographies, lives, histories, ideas, and languages held by Black, female, Indigenous, Chicana, queer, and other subjugated peoples (see also Anzaldúa 1987; Lugones 2007; Sandoval 2000; Simpson 2014; Tuck and Yang 2012). While women, POC, and queers have been reluctantly admitted to the ivory tower, their historical absence has simultaneously been a presence. The practice of maintaining these absences is one of “death-dealing displacement of difference into hierarchies that organize relations” (Gilmore 2002: 16) and justifies the ongoing presence of white supremacist heteropatriarchy and toxic masculinist practices. Disrupting this means making changes to the spaces of knowledge production to accommodate multiple ways of knowing and being in the world. Claim the absented presences as spaces of legitimation of multiple narratives, non-settler futures, and difference as a life-giving, not death-dealing, way to organize social relations. 3) Mobilize toward Collective Rehumanization: See and treat each other as full and complex human beings. Work with and through the troubling and uncomfortable moments. Conducting participatory research, honing perfect politics, and even taking to the streets are not enough to rehumanize our theory and practice. It is time to confront how structurally isolating academic labor is, and to value practices of care work, mentorship, conflict mediation, vulnerability, ambiguity, “presenting the absences”, subverting hierarchical social relations, and relationship-building at the “speed of trust” (brown 2017). When you transform your classrooms into “more humanly workable” spaces (McKittrick 2006: xii), the work to transform society becomes more clear. What we offer here is an invitation to all teachers and students, but especially to those successful, well-known, and structurally empowered scholars who profess liberatory politics, to re-evaluate your own teaching and learning practices. We, as the Athena Co-Learning Collective, are still learning how to be in the academy as a woman, as a person of color, as working class, as queer identified, as a feminist. Being radically vulnerable together is a constant struggle, sometimes uncertain and messy. It must be a collective enterprise, which prefigures, engages, and speaks across multiple communities, and insists upon the inseparability of knowledge and action to reject the hegemony of white supremacist heteropatriarchy and toxic masculinist practices. Our feminist collective is but one distillation of these commitments; it represents a form of initial rupture, alongside many other ruptures instigated by feminist comrades the world over. The hard labor yet remains: to rend the curtain fully and step out, together, into a new space. Coleman Allums, Rachelle Berry, Shelly Biesel, Briana Bivens, Sara Black, Christina Crespo, Aspen Kemmerlin, Jennifer L. Rice, Amy Trauger and Chelsea Wesnofske (corresponding authors: atrauger@uga.edu and jlrice@uga.edu). In particular, this essay was inspired by the Combahee River Collective’s (1983) statement on black feminism, and Audre Lorde’s (1994) “The Master’s Tools Will Never Dismantle the Master’s House”. A more in depth description of our processes and challenges of facilitating such a seminar will be documented in another article by our collective. We also took inspiration from Heidebrink-Bruno (2014) in reworking our classroom commitments to one another. 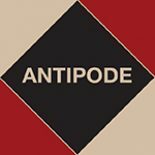 This entry was posted on 27 November 2018 by Antipode Editorial Office in Interventions and tagged academic labor, co-learning, competition, cooperation, critical pedagogy, expertise, feminism, feminist collectives, feminist geographies, heteropatriarchy, masculinism, performativity, praxis, scholar-activism, solidarity, teaching and learning, the university, toxic masculinity, white supremacy.